Carefully planned, well designed, outdoor living rooms will feel like a natural extension of your home’s interior—only completely different. 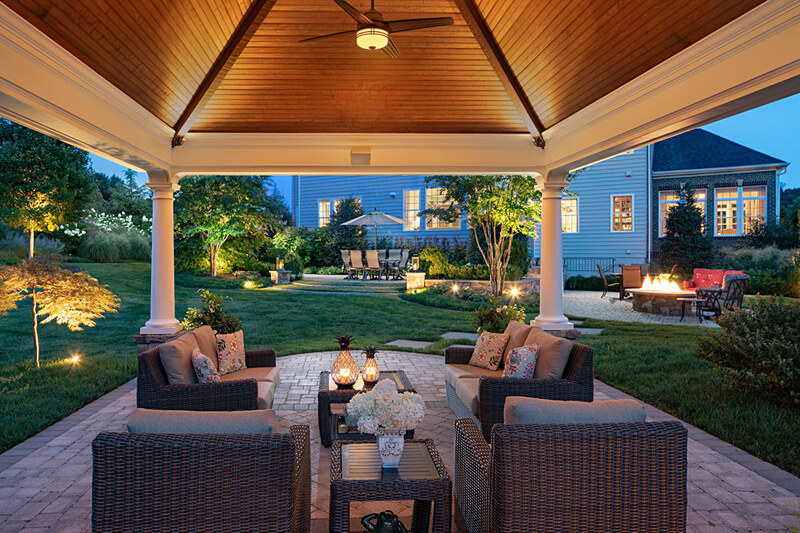 Outdoor rooms take the experience of indoor rooms to a different level. You enjoy total freedom to revel in all of your senses with no confining walls to constrain your imagination. By defining use areas as outdoor rooms, the landscape architect maps out connecting paths that lead the eye (and the body) through a series of transitions into different kinds of places in the outdoor environments we create. The landscape design carefully balances the way various outdoor living spaces will interact with each other and how they will relate to the architecture of the home. A successful landscape design plan results in the creation of outdoor living spaces that impart a pleasing sensation of enclosure, seclusion, or expansiveness depending on the size and positioning of the area in landscape layout. To begin the process, your landscape architect will ask you to describe how you plan to use the space and what kind of feeling you hope to create within each “room.” The architect will factor those insights together with the information gathered from a thorough site analysis and evaluation to develop a landscaping site plan that divides the landscape into separate but related activity zones. That could include an outdoor living room and dining room and other areas designated for play, entertaining, family gathering, or even a secluded spot for quiet and reflection. The artful, balanced composition of these elements in landscape design can create an extraordinary experience of a series of rooms furnished with the sights, sounds, fragrances, and physical sensations of open-air living. This process of designing an inter-related series of living spaces and assigning a unique purpose to each, the art of the landscape designer and interior designer overlap. Room design, whether inside the home or outside, attempts to achieve continuity. Outdoor rooms and interior rooms are connected by a series of transitions, by natural, intuitive flow that leads from one space to the next. Ideally, each outdoor living space is designed to draw you in, make you feel comfortable enough to stay, and enjoy just being there. Something to keep in mind: While your home interiors may go out of style, become dowdy and dated over the years, your outdoor rooms will only get better. With consistent care and maintenance, your outdoor living spaces will start to fill out and reach their full potential in two to three years. Time is one element that makes landscapes great. As garden plants adapt to their surroundings and grow, they get better and better. 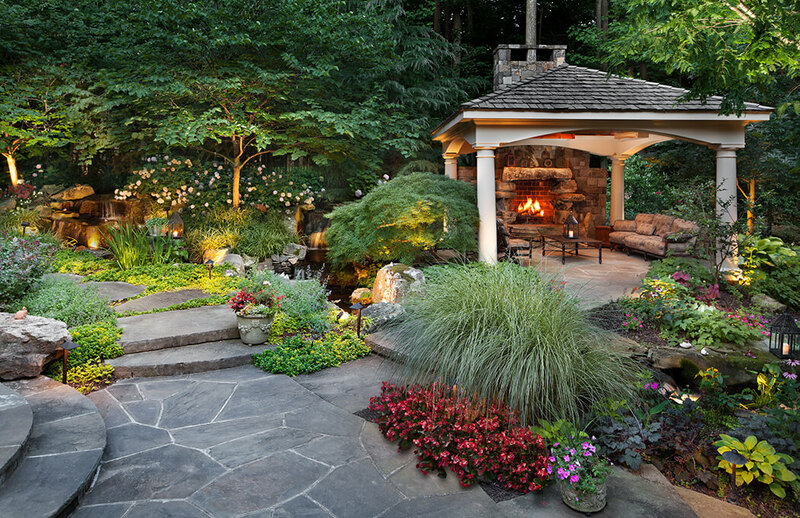 If you’d like to explore this idea of defining outdoor rooms that allow you to experience memorable moments in your backyard, contact one of our landscape architects to schedule a consultation.